Sandwiches are the ideal lunch food (quick, balanced, healthy, perfect for multitasking, etc.) but they're just so darn boring. This week, we hunted around the Internet and found some truly inventive solutions to the eternal sandwich conundrum. Go way beyond the basic turkey sandwich or PB & J with these healthy sandwich recipes. Finally, a vegetarian lunch option that doesn't involve a pile of iceberg lettuce and American cheese on a bun. 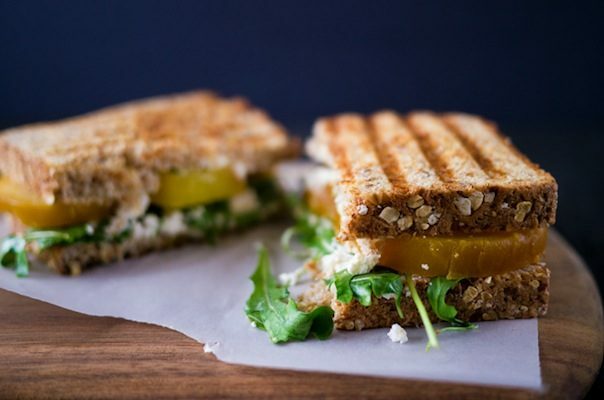 This sophisticated meat-free sandwich is the perfect combination of hearty (whole-grain bread), fresh (goat cheese), spicy (arugula), and sweet (roasted beets). Yum! 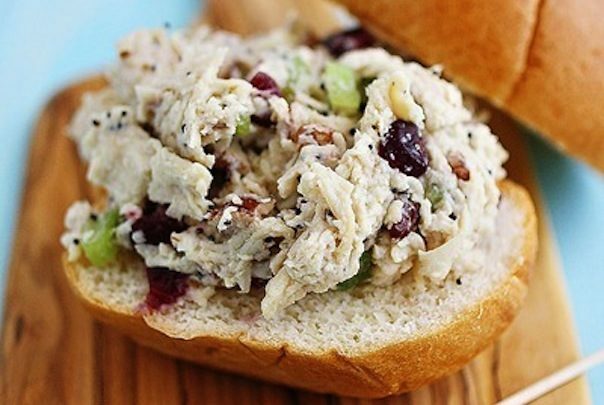 This chicken salad is recipe much healthier than the deli version, but that doesn't mean it's lighter on flavor. Pecans, cranberries, parmesan cheese, and a super-flavorful yogurt-based dressing make this sandwich a tasty and wholesome lunch. Use whole-wheat bread or rolls to get even more goodness with each bite. Hey, who said all sandwiches are savory? 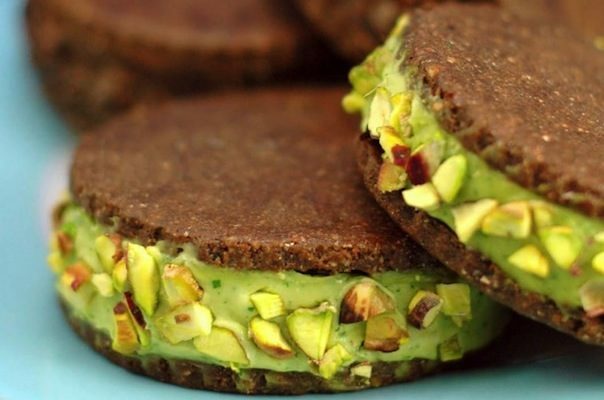 These vegan, raw "ice cream" sandwiches are filled with avocado, not dairy. The recipe includes info for making mint and chocolate flavors — which would you pick? 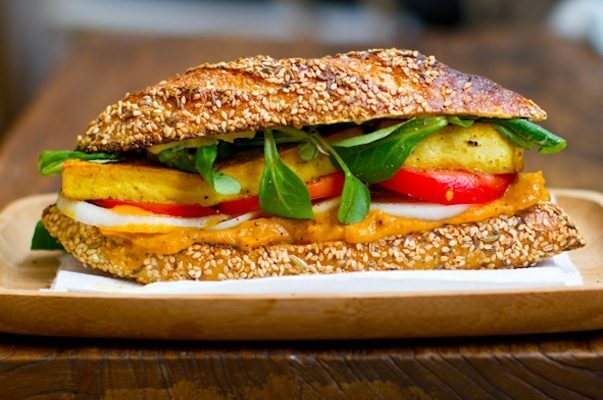 In the words of Greatist's Health Editor, "I don't even like tofu but I want this sandwich!" This hearty, flavorful meal shows off how vegan food can be interesting, appealing, and really colorful, too. The classic bacon, egg, and cheese on a bagel gets a classy makeover with this healthy breakfast recipe. Arugula and prosciutto give this morning sandwich tons of depth and bright flavor.